Texas Parks and Wildlife Department’s largemouth bass conservation license plate (CLP). AUSTIN, TX – Since 2002, thousands of anglers have contributed more than $675,420 to improve fishing in Texas by purchasing the Texas Parks and Wildlife Department’s largemouth bass conservation license plate (CLP). But many anglers may not know exactly how that money directly benefits their favorite fishing hole. Every year, sales of the largemouth bass conservation license plate generates about $40,000 to benefit projects at dozens of public reservoirs and small fishing lakes across the state. Projects funded by the CLP program have included deployment of GPS-marked artificial fish attractors, installation of underwater greenlight units at fishing piers and aeration systems to improve water quality in small fishing ponds, establishment of native aquatic vegetation on shorelines, and procurement of materials to establish submerged brush piles at future planned reservoirs. In “The Big Country” area of Texas near Abilene and in west Texas, fluctuations in water levels can negatively impact populations of fish and decrease catch rates of popular sport fish like bass for anglers. 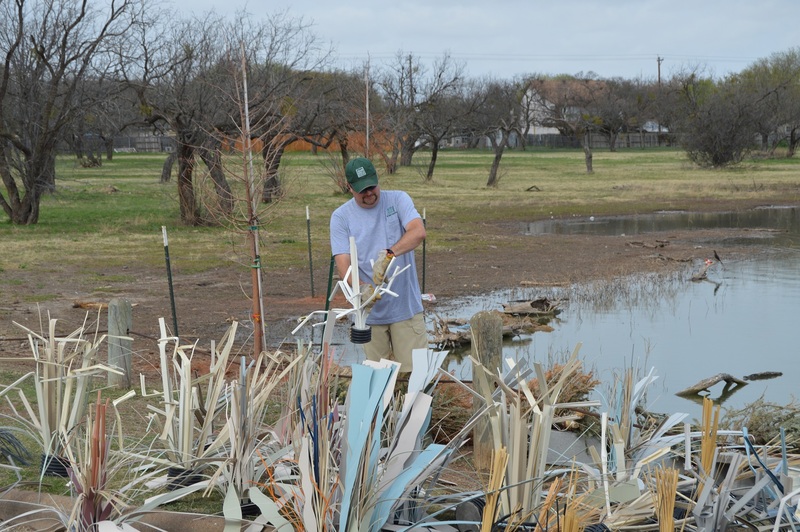 Conservation license plate funds have become an important tool for district biologists to create the best possible fishing conditions for present and future generations of anglers at these local lakes – even during times of drought. In urban areas like Houston, fisheries biologists have used the funds to enhance community fishing lakes and local state parks where visitors heavily utilize piers and shorelines during their fishing getaways. 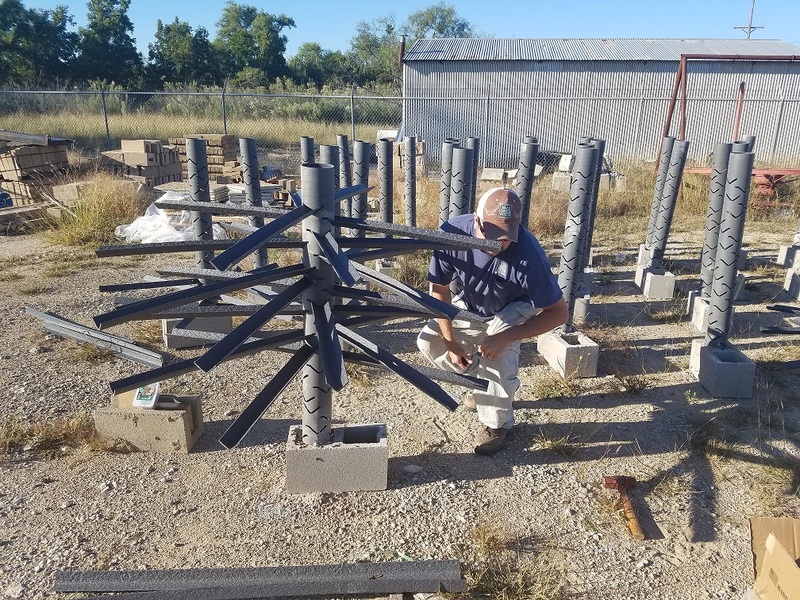 Webb said creel surveys before and after the artificial structures were placed around the piers showed a “substantial” increase in the amount of sport fish being caught by anglers. In addition to attracting the fish to the anglers, the plastic attractors can create an important food source for prey fish by growing algae, resulting in the production of more sport fish— like bass— in the lake. Although creating additional structure and habitat for bass has been the focus of the CLP funding in recent years, inland fisheries districts have also used these dollars to install floating docks for fish feeders and to construct kayak and canoe launches. The largemouth bass conservation license plate is available for vehicles, trailers and motorcycles and costs just $30 – with $22 going directly to improve bass fishing in Texas. In addition to the largemouth bass license plate, Inland Fisheries raises funding to conserve Texas rivers with the Texas Rivers conservation license plate. Other TPWD conservation license plates include the horned lizard, rattlesnake and hummingbird plates benefiting wildlife diversity; the white-tailed deer plate benefiting big game management; and the camping and bluebonnet plates benefiting state parks. Since its debut 18 years ago, the Conservation License Plate Program has generated more than $8.4 million to support state parks, outdoor recreation and conservation projects in Texas. To buy the largemouth bass conservation license plate or one of the other seven designs available, visit www.conservationplate.org or the Tom Green County county tax assessor-collector’s office. Buyers do not have to wait until they receive a renewal notice, they can order at any time and the cost will be pro-rated. All conservation plates are available for cars, trucks, motorcycles, trailers and RVs.